RBC Heritage betting tips & predictions – the RBC Heritage was first played in 1969 and is played on the Harbour Town Golf Links at the Sea Pines Resort on Hilton Head Island, South Carolina. Harbour Town Golf Links has been the sole venue for the event and Arnold Palmer won the first edition of the tournament. Harbour Town Golf Links along with the Ocean Course and Heron Point make up the Sea Pines Resort. The RBC Heritage is one of only five tournaments given “invitational” status by the PGA Tour and consequently it has a reduced field of only 132 players. Harbour Town Golf Links was designed by golf course architect Pete Dye with the assistance of Jack Nicklaus. The course consists of narrow fairways, overhanging oaks, pines, palmettos and dark lagoons. It is a Par 71 course that is 7,101 yards from the back tees which is relatively short by Tour standards. Harbour Town’s primary defence is its slick and firm Bermuda grass greens that are small in size. The average green at Harbour Town is 3,700 square feet while the average square footage of greens played on Tour is 6,600 square feet. At Harbour Town Golf Links finding fairways is key and there is a demand for shot-shaping. Scrambling will also be important as the smaller than average greens will be missed. 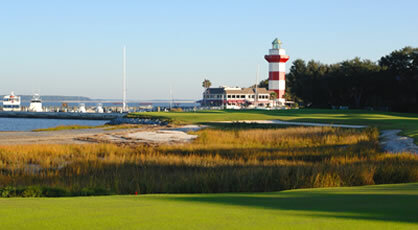 Harbour Town is very often wind-affected and an ability to play in blustery conditions is essential. Water is in play on half the holes. Last year, Satoshi Kodaira prevailed in a sudden death playoff with Si Woo Kim to win his first PGA Tour title. The 28 year old Japanese golfer shot a final round 66 (71) for a total score of -12 (272). Three quarters of Kodaira’s strokes gained on the field average came from his approach play finishing the week 7th in SG: Approach-The-Green (6.019). He finished the week T4 for Driving Accuracy, 65th for Driving Distance, T7 for GIR and 16th for Strokes Gained Putting. In 2018 champion, Wesley Bryan, captured his first PGA Tour title at Harbour Town Golf Links. He had six birdies and two bogeys in a closing 67 to finish on -13 (271). Luke Donald finished a further shot back in solo second. It was his third runner-up finish in the tournament in four years. Bryan finished the week with a negative Strokes Gained Off-The-Tee but countered this with his Strokes Gained Approach-The-Green gaining nearly 8.5 strokes on the field average. He finished the week T50 for Driving Accuracy, T55 for Driving Distance, T66 for GIR and T11 for Strokes Gained Putting. In 2016, Branden Grace landed his first PGA Tour event at the RBC Heritage. A look at the breakdown of his strokes gained for the tournament shows that 42% of his total strokes gained came from his short game and another 37% from his putting. The South African’s other stats for the tournament include T39 for Driving Distance, T50 for Driving Accuracy, T14 for GIR and 10th in Strokes Gained Putting. He finished the week T1 for Birdies shooting 18 in total (including 7 on his way to a final round 66). In 2016, Jim Furyk shot an -8 (63) in the final round to secure his place in a playoff. He held off Kevin Kisner on the second playoff hole to win his 17th PGA Tour title. He won with a combination of superb approach shots and clutch putts. He finished the week T7 in Driving Accuracy, T10 in Greens in Regulation, 11th in Strokes Gained Putting and 1st in Scrambling. The RBC Heritage is a tricky test of golf and this week is all about accuracy over power. Kevin Kisner 33/1 (E/W) – finished solo 2nd here in 2015, adding a T11 in 2017 and a T7 last year. His T21 in last week’s Masters was preceded with a very impressive victory in the WGC Matchplay. Prior to this victory he had a run of 6 straight Top 30 finishes. The accurate ball-striker places inside the Top 20 in this week’s Stats Analysis table. Arriving in confident mood to a course that should suit his skill set perfectly. Jim Furyk 33/1 – a two-time champion at Hilton Head (2010 & 2015), he also has an additional 6 x Top 10 finishes. Rolled back the years with a scintillating solo 2nd finish behind McIlroy in last months PLAYERS Championship. This result is among 5 x Top 25 finishes in as many starts. A zero red flag game puts him top of the pile in this week’s Stats Analysis. He is also 12th on Tour for GIR and 3rd for Scoring Average. Event Form check, Current Form check and Stats Analysis check. A third tartan plaid jacket is a very real possibility.